There’s an elephant in the room, and it has to do with refeeding in recovery. And that, my friends, is bloating. This is an uncomfortable topic to talk about, because it has to do with body image. During recovery, we’re working on accepting our new body and learning to love it. We’re overcoming body dysmorphia, and #realtalk: we’re working on weight restoration. Frankly, bloating makes progress in those departments rather difficult. I am nervous and weary of how my body will be at the end of my stay [at inpatient]. I am scared that if it changes to a point beyond where I am comfortable, that when I get home I will be depressed and unhappy. Lord, please give me the strength, courage and endurance to get through today. I know You will protect me from anything that scares me. So let’s have some #realtalk about bloating. Spoiler alert: it happens in recovery. During your eating disorder, you’ve been in a state of starvation. Your body has been feeding off of its own muscles. That’s why you become skeletal: because your muscles are literally deteriorating in order to keep you alive. But here’s what we so often forget: your organs are muscles too. So they deteriorate and shut down too — all in an effort to keep you alive. That’s why your menstrual cycle stops – because your reproductive organs have failed. You’re cold all the time because your circulatory system is shutting down. You can’t sleep because the adrenal and hormonal levels are off, because they’re shutting down. Your digestive system and metabolism as slowed to a halt. Your organs are literally wasting away, day by day, to keep you alive. And that’s why girls die from anorexia: because your heart is a muscle too, and it shuts down. Let that sink in: 1 in 10 people die from eating disorders. It’s nothing to joke about. But what does all this have to do with bloating? Well, since your body has been in a state of starvation during your eating disorder, it doesn’t trust you to nourish it. So, when you finally do begin to feed it again, it still thinks you’re going to deprive it in the future. So it holds onto the nutrients. Just think of a cave man, or a prehistoric animal: they would stock up when they could, because they never knew when a famine would hit, or they’d have to hibernate for the winter. That’s what your body is doing. It just thinks that it’s a temporary “feast” period, and that it should hold on to all those nutrients because you’re heading into another famine. So in an act of self-preservation, your body insulates the most vital organs first, again, in an effort to keep you alive. And where, might you ask, are those vital organs? Around the trunk of your body: your heart, your lungs, your liver, etc. So it initially stores the nutrients around your midsection. But here’s the kicker: In order to “beat the bloat,” you have to keep eating. You have to keep nourishing your body with adequate nutrients and sufficient calories consistently, or you body will stay in that starvation mode, and hold on to every nutrient that you consume. This is very hard for a lot of girls in recovery, and is the moment where the “rubber meets the road,” and your recovery is tested. Your perseverance and will to fight are tested. Will you keep going or will you fall back into old ED habits because of poor body image? Will you continue to banish ED to the fires of hell, or will you let him creep into your mind because you are scared of a temporary bloating phase? This is where the true warriors rise to the top. This is where you become gold, refined by fire. Finally, I’ll leave you with a few tips that I found helpful dealing with my bloating during recovery. Wear loose, comfortable clothing. This really goes without saying, but tight clothing is very triggering in recovery. Stick with clothes that give you room to breathe. Yoga pants, hoodies, t-shirts. The stretchier the better. Avoid the mirrors. Again, this is something that is intuitive, but scrutinizing your body in the mirror is not going to make the process any easier. In fact, just the opposite. Your body is blooming into the woman you’re meant to be. Trust the process. Learn to love yourself. Drink water! Another aspect of bloating is that your body is holding onto excess water, otherwise known as edema. It’s counterintuitive, but the more water you drink, the less your body will hold on to. Be with supportive people. It is so important to surround yourself with supportive people. In your recovery, you need people by your side who lift you up and support you in your recovery, not bring you down. Dwell on the Truth. Lastly and most importantly, keep your mind focused on the Truth. Otherwise, ED will find a way back into your head, and this time he’ll bring 7 friends with him. So remain centered on the Truth. These were some thoughts I found to be helpful in recovery. Hang in there, sweet girl. Bloating comes with the territory, and is only temporary. You’re doing the right thing: you’re sticking with recovery, nourishing your body, and learning to love yourself. The bloating will pass. Keep doing the right thing. One day at a time. One meal at a time. Great article from a very positive perspective! Thank you so much for the reblog!! hugs! Great article. Yes, drink water. I sometimes retain water, especially at the ankles. Then I start drinking water to get rid of it. It works. Thanks for this! Yes kind of goes against what you’d think would reduce bloating, but sure enough, drinking water helps! Thanks for stopping by! As a paramedic, your posts help me to understand what is happening within the body. Better yet, it also helps me to know what to say and what not to say when I encounter someone with an ED. Keep up the good word. Great post – another tip might be “avoid fitspro posts and magazines” so you’re not being bombarded with unrealistic images of what the female body ‘should’ look like. So beautifully written! Although I do not share in this condition, through your writing I can relate. Thank you for sharing. May God bless you, and may you feel His presence throughout your recovery. Have faith! Thank you so much for your kind and relieving words! ♥ I’ve been abroad for a month during September to join an intensive recovery program, where I ate around 2200 kcals a day. Until just before I left I had a low and unhealthy intake, but still I didn’t gain a lot of weight (only one kilo in the entire month!) and I didn’t get too bloated though I always encounter (extreme) bloating when I start to eat more. But since last week (I’ve been home for twoo weeks now) my belly looks like it will explode; I’m constantly bloated from the moment I wake up until I go to sleep. I gained more weight since my return than during the entire month. I eat around 1800 kcals a day now but very healthy. This bloating makes me want to throw in the towel because I look twice my size now and I’m afraid to leave the house. How was this not happening last month when I actally ate more? Is this normal or did I get intolerant for certain foods? I’m sorry for al this nagging but I’m so desperate… 🙁 Again, thank you so much for your uplifting words and love, it helps a lot!! EXCELLENT article on the re-feeding process! I only touched briefly on this issue in “Redeemed from the Pit”, but it’s important and you did a superb job of explaining it medically AND how to renew one’s mind from the fear and anxiety a recovering anorexic or bulimic goes through. Mind if I re-post with a link? If you love someone who struggles with an eating disorder, perhaps this blog will lend some insight into their thinking. Thanks so much for the reblog, Juliet! I appreciate it:) hugs to you! Thank you for an insider’s view of the painful reality of these issues. Glad you have this website, so many today need this kind of great help. Great read, I’m sorry you’re having to deal with this. I’ve often struggled with my weight thankfully I had supportive people around me helping me to accept my body. Keep up the great job and I’ll say an extra prayer for you. God Bless…. Thank you so much! I appreciate the prayers. Supportive and loving friends and family are so important in life. thanks for stopping by! Thank you so much:) I appreciate you stopping by! A great article about recovering from eating disorders. Acupuncture can help get your digestion and other systems back on track again during recovery! Acupuncture helps to return your menstrual cycle, reduce bloating and edema, and restore muscle strength and organ function. Thank you so much for the reblog! Fascinating information you shared too! Thanks for that! blessings and hugs! I’m sure this will help a lot of people. Great post. Thank you so much Tricia! I appreciate it! That is my true hope! Thanks for stopping by! This hits below the belt, that is where I feel it – what the mind will do to us and it doesn’t know it is killing itself! Blessings to you Br Andrew. Thanks again:) glad you stopped by! Thank you so much Br Andrew! I really appreciate the reblog! Have a beautiful day! I lost my period last year. What should I do? Very informative article. Well thought out and organized. Thank you for sharing this with us. Thanks Richard! I appreciate you reading! Thank you for liking my post “Christmas on the Creek.” I hope you come back soon. God bless. Thanks so much! I’m glad you stopped by! Hugs! It’s so amazing what God has programmed into our body system. Your post allows one to appreciate HIM the more. I thank God who has given you the knowledge to do this great job. I’ve learned a lot. I want to thank you for liking my post, “It’s Christmas”. More grace to your elbows! Hi friend! You’re so right. Our bodies were designed to be well oiled machines! It’s so incredible to think about all the complex systems and make up of our bodies. God is good. Thanks for stopping by! Hugs! This is so interesting and informative. I have a niece with an eating disorder and I shared your blog with her. You liked my post today and I decided to check out your blog. I’ve been praying about how to deal with my 10-year battle with what I’ve finally decided was an eating disorder. Due to lots of health issues and huge amounts of water retention, I never have appeared super skinny/underweight. In fact, just the opposite. I’ve always been over my weight range even when I lived on less than 800 calories a day for years. Still, the struggles are there. Thanks. I needed this today. Hi Mats, thank you for sharing this. I’m sorry that this common link connects us. 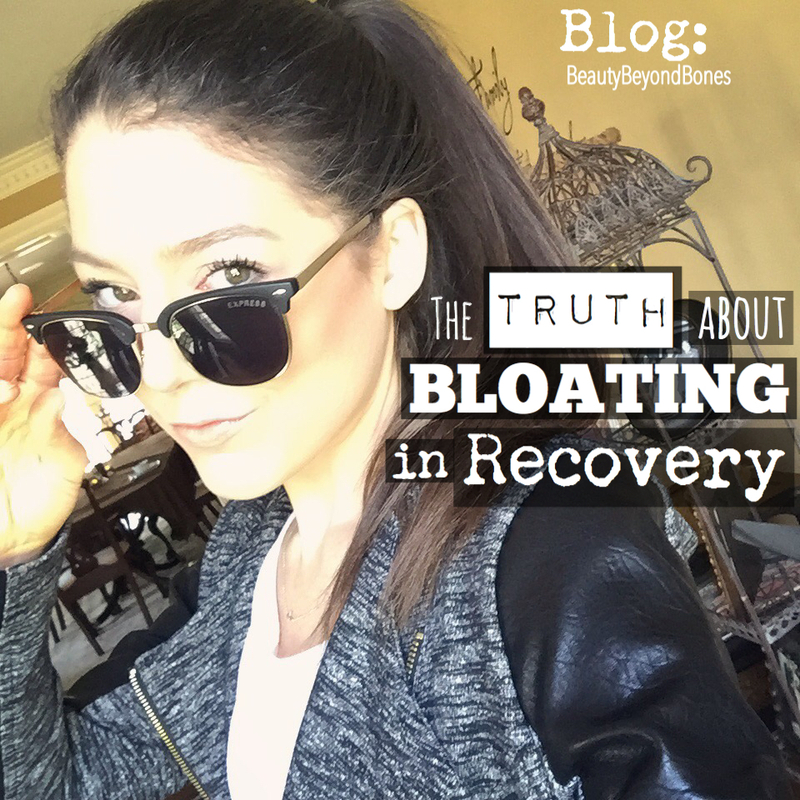 Yes, bloating is definitely a bane of existence in recovery, but eventually, it will pass with constant, adequate nourishment. Wishing you all the best on your recovery journey. You got this☺️ thanks for stopping by! “Since your body has been in a state of starvation during your eating disorder, it doesn’t trust you to nourish it”. I think that is true of those of us who struggle with anything – from joy to happiness to self-confidence. When one gets used to living in poverty of spirit, it can feel quite unnatural to have joy be our regular rhythm. I know for me, I have to “feed” myself constantly. The goal is – when in the future I have an off day – it’s because I am missing the constance of joy and not the other way around. I will pray be praying for you as you journey toward nurturing yourself spiritually, mentally and PHYSICALLY. You are worth it!!!!!!!!!!!!!!!!!!!!!!! Oh thank you so much Andrea! What a beautiful perspective! I’ve never bought of that before. How incredible. You’re so right. Thank you so much for the prayers. They mean so much. You will definitely be in my heart and prayers as well:) thanks for stopping by! Hugs and love to you friend! Hi friend! Oh I’m so sorry to hear that you’re still experiencing bloating. Keep fighting the good fight. Nourishing yourself is so important. Proud of you:) thanks for reading! Wow as someone who has suffered with an Ed, thank you for opening up and sharing your story. Thank you for your tips and tricks. You’re a beautiful person. I love reading about your faith. Thank you so much Jaclyn. I appreciate your encouragement. A lot❤️ thanks for reading! Have a great weekend! Thanks for sharing your experience with others. Lots of food for thought. No doubt that one must start at the source of the problem. And that is your inner Self. And as long as you are feeding yourself, the proper nutrition/thoughts, it will begin to show on the outside as well. Unfortunately we must reflect on the innermost mirror, in order to change the image in the mirror on the wall. And you are doing a great job, keep up the good work. Love your dedication, firstly to yourself, and the sharing of the experience with others. Giving strength to the weary, restoration to the broken hearted. Returning to the former glory. It’s as a cup of cold water, too ease the flame within. And a cool breeze from the blazing heat of the Noon Day Sun. This is exactly what I’ve been suffering from for almost three years- on and off. Thanks for this encouragement! Good tips. I really enjoyed your post. Thank you so much Gwendolyn. I appreciate it:) thanks for stopping by! Hugs! Great advice. I enjoyed reading your post. You have a gift when it comes to explaining the mental as well as the physical and how they intertwine. In my opinion, a brilliant post. Brilliant! Well done indeed! Sound, to the point, positive and helpful, and centered on the One Who can help! Thanks! Thanks again Stephanie! Jesus was 100% the source of my healing, so it’s GOTTA be centered in Him! Hugs! Being scared of ones own body and being scared of food is awful. No problem!!! It was a good read! What an amazing and honest read! It takes a lot for most people to get to place where they can love their bodies again and feel comfortable in their own skin. I hope they read your blog and get comfort in that fact that it is possible. Spot on truth! It’s also a great reminder of some scary statistics for those of us further along in recovery. My digestive system is still prone to days where it simply doesn’t want to work. reason #104 to keep up with recovery. Thank you! Hello again friend! Thanks for this reflection. You’re right-so so so many reasons to stick with recovery! I appreciate you taking the time to read my stuff this morning☺️☺️☺️sending hugs! You write a lot of sense, and that will carry you through anything. You’re not just sitting back feeling sorry for yourself — you’re finding out WHY and HOW, and that puts you back in control. Hey friend, thank you so much for sharing this. I’m sorry you’re going through that–I will definitely keep you in my prayers for quick healing. So glad you stopped by. Sending you big big hugs. At JB Group Fitness we like to ENJOY getting in shape through fun exercises. Although exercise is important, proper nutrition is a vital part of the equation. The blog post shared here is a beautifully written piece that has an excellent explanation of what the body goes through when we do not get the nutrients our body needs, and the difficulties that our body (and emotions) go through to recover from these circumstances. In order to perform at its best, our bodies need nourishment. Only with proper nourishment and love, can we move forward and reach for new goals. Very interesting and true. Our body also seeks a homiostates level. “What it is use to” being aware is half the battle and leading to except and enjoy yourself is key to development. Hey thank for the informative article, it’s really reassuring since I’m about two months into recovery and bloating and elephantine looking body has been bothering me so so so much every single day, until a point I even wish I have not started with my recovery. I’ve always been a tiny person even before I got stupidly anorexic. This stage has been more difficult than ever. Would you mind if I ask whether you have any idea how long the bloating will last and how long does it take to completely go away. I have been eating pretty well constantly despite some regretful thoughts on starting the recovery process. Your reply and help will be greatly appreciated! Thank you! Hi, thankyou for your super nice write up about the truth about bloating, of course here I was at google experiencing the bloat, I am at those early stages of recovery, on my own this time with supportive people around me and in my life. Seems to be working, not always smooth sailing. I am learning to love my real beauty instead of idolizing those bones. Thank you for your website, I am yet to explore more of your advice and speck with you sometime. I am 32 female from Nelson, New Zealand. Currently live in Picton NZ. My name is Amy. hank for the informative article, it’s really reassuring since I’m about two months into recovery and bloating and elephantine looking body has been bothering me so so so much every single day, until a point I even wish I have not started with my recovery. I’ve always been a tiny person even before I got stupidly anorexic. This stage has been more difficult than ever. Would you mind if I ask whether you have any idea how long the bloating will last and how long does it take to completely go away. I have been eating pretty well constantly despite some regretful thoughts on starting the recovery process. Your reply and help will be greatly appreciated! Thank you! I’m just recently into recovery again but the bloating is worse than ever. Do you have some suggestions of food to avoid or to eat more of to help? I know I shouldn’t “avoid” any certain foods, but just during the bloating phase? Thanks for sharing. Very informative article, and it explainns where I almost found myself when I was losing weight because of anemia as a result of heavy menstruation. I started to recover with iron supplements and a diet to gain weight. Although I have never had an eating disorder, I have however had bad body image before, and thought I was fat. So often we can become obsessive to the point of becoming ill. For those who are recovering, I found this piece incredibly beautiful in that it encourages people to love themselves and their bodies, and it gives valuable advise to those who were ill and are going through the recovery phase. This the truth. After years of on again off again recovery I still get bloated after a large meal but I know that tomorrow morning I’ll wake up and look like I did earlier today because you CANT get fat overnight. And besids your nutritionists pick a weight range so it is physically IMPOSSIBLE for you to get fat. Just keep on fighting. I’m thankful for the reminder that there are people out there with problems I’ve never even thought about. I have problems, but so do others. In my case, it’s depression. And to what is depression often linked? Self image. So, here’s what I’ve learned by reading your post: We all have problems, and they may all be different, but we are not THAT different. God bless you as you continue on the journey to full recovery. I believe your every recovery process is a success that will bring wonder to your kindled spirit. Thank you so much my friend. That really means a lot. Hugs and love to you this beautiful Tuesday morning! This is so beautiful… Thank you for the encouragement and tips. Low key crying rn. Thank you. I’ve been in recovery for bulimia and anorexia for 2 months now, and perhaps this article is the ONLY thing that reassured me that I am still normal, that all this bloating, indigestion and gas is normal and temporary. This is a beautiful article and I truly appreciate you writing it. You have no idea how much it means to us in recovery. I do however have some concerns if you don’t mind. Is bloating still normal even though I’ve been eating consistently for 2 months? Also, is it normal to ALWAYS be bloated, as in even when I first wake up in the morning? The bloat is just always there. I’ve not had a flat stomach for 2 months now which makes me go into a frenzy that it will constantly be there. I just want it to go away. Very powerful…very real. Thank-you for spelling out the facts, illuminating the reasons, and for sharing your own personal journey. Big hugs to you! Thank you for liking my latest post. I want to take this opportunity to congratulate you on the wonderful service you are offfering through this blog. I am enjoying reading your posts. Very commendable how you have explained the fears and how the body responds to being nurtured once again. You are a great example to others to follow and you were supported by God. God helps all to restore their lives. Blessings to you and all you help along the way. Such good sense and so valuable to so many! Thank you. As one who has never had a problem with self-image*, I can still very much relate to this. It should be read by all, those afflicted and caregivers, and innocent bystanders. I’m not exaggerating, I’ve been bloated for a over a week now and feeling pretty upset about it. In one of my psychology courses, my professor had said that when you’re stressed, your body thinks its in danger, so it holds on to all the calories it gets. She talked about how it was an evolutionary process that was meant to help us survive (so the purpose of anxiety was to save us in life/death situations, unfortunately that is not the case with most of us) and that meant that anything we ate would make us instantly fatter! That truth frightened me, but reading this article made me feel at such ease. Thank you thank you! It’s so nice to know that the way to get rid of me growing is to continue to eat well and healthy. Much love for this blog. I appreciate your kindness in always “liking” my blog. It won’t be long until I post the first, full chapter. Thanks. I started recovery5 months ago with my pcp he put me on a diet of5 small meals a day breakfast strawberry pop tartYes he let me keep the pop tart snack 3pieces of dried fruit lunch a big size dish of yogartfresh vanilla fresh fruit and granola snack fiber one 90calorie bar supper smaller portion of family dinner snack 12 plain almonds and 3pieces dried fruit then I do 25po laps I have gained 25 pounds all over but a large fat jelly belly I am 55 I was always 99pounds but pcp and me have agreed on 105,why am I gaining so much weight still I am desparate and did not want to relapse and even had desparate moments where I just want to cut it off HELP!! Hi, God bless you for your good works. I just wanted to know if it is normal to still have digestive problems 2 years into recovery. Thanks. You have such courage to have faced your affliction and worked your way through recovery. Keep it up! I recently read a wonderful book by shame researcher Brene Brown called “I Thought It Was Just Me” about women’s shame issues, a prominent one being body image. Her goal is to teach women (and men) to develop resilience to shame by having the courage to tell their story, having compassion for themselves, and connecting to empathetic listeners and friends. An excellent read that you might enjoy. Keep up the good work! You’ll have to let me know what you think. She also has a Ted Talk on YouTube. Great article – and so true! Having just finished a 21-day water fast a week ago, I’m going through that period of feeling bloated right now. Believe me, I don’t feel like eating because of the feeling of internal bloating – but I know I have to. One thing I’ve found which can help is to do gentle aerobic exercise like a little running. Physically it doesn’t feel particularly good, but it does help the nutrients to get out from the core of the body to nourish the muscles as well. I love the honesty in your writing. It’s like you reach out and grab hold of your readers hand and say, c’mon, we can do this together. Thank you! Beautiful. Thank you for helping me understand. Also check for food allergies that cause bloating!! This was the case with my sister-in-law who has recovered from an eating disorder. Ahhh the beast of bloating…. thanks for the subject choice, it definitely resonates with all of us women! Thanks for replying back! Happy 4th Darling! Forged in the fire. I admire you! Great writing. Clear, compassionate, accessible, supporting. Just wonderful. I’m starting to think that I might be in recovery too, although it’s not so easy to tell, because I was never anorexic or bulimic. But after my weight loss in 2009, I stopped mensurating, I’m always cold, and even though I eat almost everything I want, it’s been a slow process, but i still feel so guilty after words. Mentality, I haven’t fully recovered. I’m not exactly sure what I should do now. But I’m glad I came across this post and your blog! The post is so wonderful, keep it up. I appreciate you sharing your journey. Thank you! Came across a quote (By Ralph Noyes) the other day that reminded me of you in particular, but also of all we other mortals who each have his/her own battles (perhaps wrong word?) to challenge them. Here it is: ‘ We are a haunted species. The spectres are among us. They continue to come. They rattle their chains. Yet it is ourselves who have chained them’. A good deal of truth in that quote. Keep on fighting! Break the chain. You are actually much stronger than you perhaps consider yourself to be. Your posts really hit home with me. I was an anorexic long before I ever heard of Ed. When my middle child was 20 she also suffered with it. Even when I told her what she was doing to her body she ignored me. It took her collapsing at work and becoming unconsciense to realize she needed to do something. Just like a recovering alcoholic someone who has had an eating disorder will from time to time wonder “why did I eat that? ” I guess it comes with the territory but over time it will become less of a worry. I have found out for myself that I just try to eat healthy and avoid foods that make me bloat which a usually some of my favorite veggies. I stil eat them occazsionaly. I live in sweat pants and elastic but then I am 58 years old Keep doing what you are doing and I will keep reading. Thank you for sharing this information with us in such an honest way! It’s been close to 30 years since I went into self recovery! (I was twenty pounds under weight.) I turned my inner self talk life around before I became pregnant and now my daughter is 29! I haven’t owned a scale in all those years! I still avoid owning one! That was the one thing which I obsessed over: the numbers, my weight! I learned to focus on healthy habits! I still try to keep that as my primary goal! Sending love out to everyone who is struggling! You are worthy! You are stronger than you know! You deserve to be healthy! You have a great blog. Thank you for writing it. I can see that it’s helpful for many people. I believe it comes down to loving your body. It’s too fat, it’s too thin, it’s not attractive enough, it doesn’t work right, etc. Will it serve you better if you reject it? Love God and love your body. Great article on bloating and creative illustration! Encouraging post, I pray it helps those who struggle with an eating disorder, I can’t imagine what they go through. It’s awesome to see your testimony on this. Thanks for liking my blog post. Our daughter had an eating disorder in 8th grade. She’s doing fine now, helping other people as a nurse at a major hospital. You’ll do fine, too! I never had an ED, however, I have dealt with issues from PTSD/abuse issues. The darkest before it’s light is consistent with what I went through too. The closest I’ve ever come to losing the fight against all the behaviors/patterns came at the very end. The defenses, my old “truth” was what I knew and had protected me lo these many years. And they were screaming at me not to hold onto the change, it was harmful. That was possibly the toughest piece of my fight, because it would have been really easy to just let go of the new truth. Great post, thanks for writing it!!! I have dealt with chronic PTSD and there was a time when I was in the skin and bones category. Not because of ED, but usually it was a reflection of what I was battling with deep down inside. I can totally understand what you are saying. I love how you use the term “old truth”! Thank you so much for writing this. Your supportive words and even your experiences and tips are so helpful. I am finally facing my Bulimia head on and entering recovery for the first time. I can’t afford treatment so am doing this on my own and of course freaked out when I started bloating when not engaging in my usual ED behaviours. I’m so glad that I found this, and I’m so glad that it’s so normal. Thank you again for having the bravery to be so open with your story, it will help so many and makes me feel not so alone through this hard journey. Thanks again for the Like, Beauty. Thanks for following my blog, and for your like of my post on Bible Translations. You are very kind. Love it, very encouraging and insiteful! This is a really good post, thanks. I take aloe vera gel to reduce bloating and it really helps my other digestive and anxiety issues too. I’ve got a couple of customers who have found it really helps them get through their ED recovery stage, and have heard some amazing success. Would be nice to know if others have found the same with drinking aloe vera gel too. Are you more afraid of bloating or being overweight in general? It’s really reassuring to read this and know that other people experience and have experienced it. Because of my body being in starvation mode for 6 years during my teens and the way my treatment worked, my digestive system is taking literally years to recover. Despite generally eating well for the past 4 years I still suffer a lot with bloating and abdominal distension. It is a total nightmare in terms of body dysmorphia as it just confirms everything I fear, but knowing other people also experience it makes me feel less alone. Thank you for writing this – I wish someone had written those coping strategies when I first started experiencing it!! Often people forget that some of the really tough times come when recovering from any illness, EDs included, and I think the way the body can respond to refeeding is a perfect example of this. If you are someone who is supporting someone trying to recover from an ED, don’t forget that although things may seem to be improving on the outside and that is great, the person may be struggling with less obvious aspects of recovery like bloating and the conflict between ED urges and the healthy steps to take. Recovery is complex but worth the effort. I am now in a long-term relationship and I’m independent, and I would never have been able to be when I was in the throes of my anorexia. Excellent post! I am sure many will find this most helpful. continue the connection to your soul – it is far more than skin and bones. In my youth I was thin, but had an emotionally abusive husband and needed to be perfect. As I have aged, time caught up with all the eating issues and I am now a normal older woman (pudgy for me lol) but I know it is right. Keep up the positive! Thank you. It’s a tough subject and BDD is tough, even as we age – maybe especially as we age. Thank you for the encouragement. Rereading your post brings me to greater empathy and understanding. Thanks for liking my post. I really like the way you’ve addressed this issue. Lovingly and gently with encouragement for your readers who are recovering. Bless you. This is quite beautiful, like its author. You are certainly recovering substantially. Impressive. Thank you for sharing so much. Thank you for your honesty and openness. I feel your gentle spirit and quiet strength! This is such important information. Thank you for explaining why the specific body changes occur! Wonderful truth sister! Great writing! Thank you for sharing! You are beautiful inside and out. Thank you for liking my post. And thank you for putting yourself out there to help others. Bless you! Great post! And thanks so much for liking mine. Hi – I saw you liked something I wrote and it led me to your site. This will probably sound random (and I’ve read some of your more recent work) but my favorite part about this piece your wrote on bloating in recovery is when you call your audience “sweet girl.” I like to collect kind terms to call people, things that try to pack in as much love as they can, and that read like one of the kindest terms I’ve ever heard for people in pain. I love it! A lot of good points and encouragement! Thanks for stopping by my site, too. Thanks for giving this invaluable help that so many need. We pray God will use it so that all who need it will get it. Wow this is really awesome, great job being vulnerable about your own struggles and using those as a means to help others. I’m happy the post I shared on my blog found you and made me aware of your work. Thank you. Bloating is such an emotional thing especially with dysmorphia. It tricks your mind into thinking, “Oh my heck, I am legitimately fat. It’s never going to go away.” What’s going on inside your body and how you’re feeling in the stomach/intestine region has the power to completely change what you see visibly–even more difficult is bloating often does show outwardly so you now have that reinforcement of the “I feel fat” thought. So hard to realize you have to ride the wave and that it will go down. A brave posting, and a service to your fellow women. Thank you for writing here. Not recovering from anorexia, but you write beautifully. This is a lovely post, thank you for sharing. First, thanks for liking my posts! It really gives me the encouragement to keep writing, since I am just getting started. it was great reading your straight-forward and honest assessment of the “bloating”, as you call, in ED recovery. I’ve seen the bloating pull some of my friends back into an abyss. but I think if we’re prepared for it and are expecting it, it’s a little easier to handle. This is really good. Good write up! Hello, could you please let me know if this is the case for men also? I have been gaining weight slowly, I was 46kg in December 2015 and am only around 52kg at this current time. My stomach area seems to swell up or bloat as you’ve put and I was wondering if it will fill out as you’ve mentioned in this post. I haven’t been to any doctors or hospitals, my recovery has been provided by my self and I feel it’s working out alright. Though I’m not sure if my progress is too slow or if my body will recover the same way as women do based on the information you provided here. Wanted to reply to your Like. Thank you. Forgive me if I cannot fully understand everything you write about, I can appreciate almost all suffering but I have so much trouble understanding eating disorder. I can see why…well you know, I think. Of course, I spent the last twenty years trying to kill myself as slowly as possible and then tried a little harder. Thank you for what you are doing and all who can see that, yes in fact, there is a door leading out of this and believe it or not, it’s not locked. Thank you, daniel. I am so glad you have the courage to share your journey. I an sure it will help countless others in their struggles. All the best in the New Year to you. Your plain talk takes care of business and offers hope encapsulated in wisdom. So pleased this has been written! Wonderfully written, gentle but true! Praise God!!! For the message of hope. Your post was very informative and encouraging. Thanks for taking the time. It’s crazy to me that doctors and “experts” never tell us that eating too little can lead to weight gain and bloating. My MIL had gut issues and couldn’t eat much, yet she struggled with keeping a healthy weight. She wasn’t underweight as many would think she should be, she was quite the opposite. She went to several doctors and only one told her “eat more, your body is fighting starvation by holding on to all the fat you eat.” She got her gut fixed (gall bladder), started eating normal quantities, and her weight stabilized. This made me want to cry with hope while reading this. I am struggling with intensive bloating at the moment and hanging on by a hair to keep going. Thank you for the bit of hope. Have you ever seen the bloated bellies of starving children in Africa? Starvation does bad things to your body. That is why it eventually leads to death. If you become addicted to thinness you will keep “using” more and more thinness until it kills you. This is a strange addiction as the pleasure does not come from taking a substance into your body but rather by keeping a substance (food) out of your body. This addiction to thinness and to control is as difficult to overcome and as deadly as heroin addiction. But if you put every bit of yourself into the fight, if you choose life over death, if you climb this mountain, then the view from the top will be beautiful. Use every tool you can lay your mind on to fight this. Prayer, spiritual growth, physicians, medications, support groups, friends, loved ones all can contribute to your recovery. Do not hesitate to use them all. You are literally fighting for your life. Perhaps you may one day find that God does not care if you are thin or not. He cares about you, not how you look and it is much more important to please God than man. He wants you to be healthy. Jesus is often called “the Great Physician” because He heals body, mind and soul. Grab the hem of His robe and hold on. He will love you through this. He will help you ignore the voice of Satan that tells you you are fat, you are not pretty, you are not good enough, you are out of control. Listen to the voice of Jesus when He tells you that He, the God of the universe, loves you. That love is more important than any reward you can ever find in the mirror or from man. This was reeeaaallly helpful! thank you for your transparency and your willingness to share details such as these! 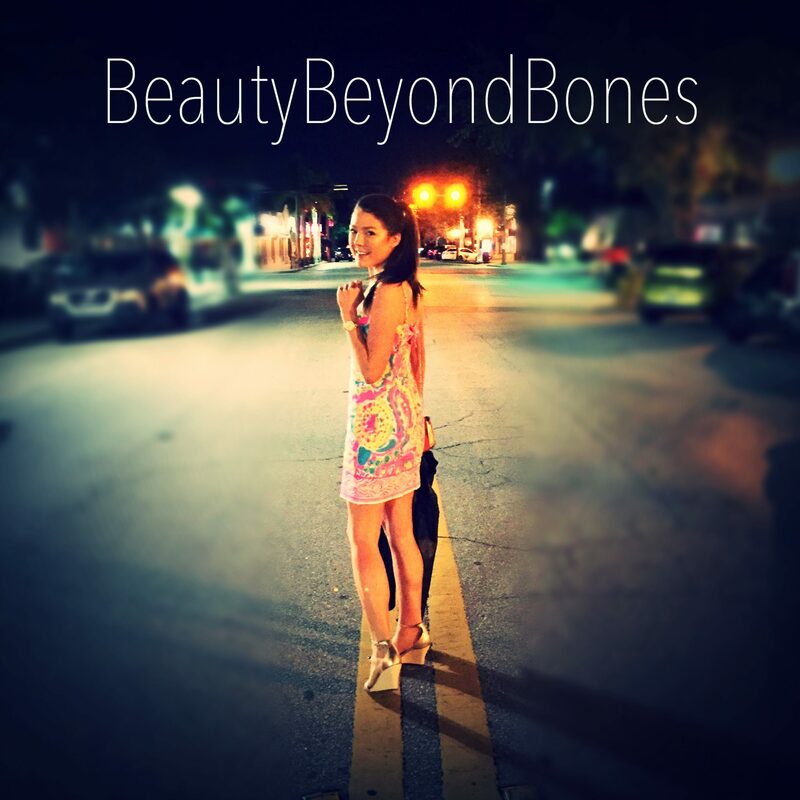 Very good advice beautybeyondbones and yes we do become gold, as we choose to walk in the Fruit of The Holy Spirit we are refined by His Fire which is gentle and Loving..
What you are doing is both courageous and inspiring. I don’t believe in coincidences. God knows exactly what you need and when you need it. I have been in recovery for decades but, I still struggle with body image. Lately more than usual. It is my thorn in the flesh. I have to choose not to give into those hurtful thoughts and keep pressing forward and become all that God planned me to be. I look forward to reading your posts and joining you in you journey. What an incredibly sane column on such an insane disease. Eating disorders are something I have never had a particular reference to until I quit drinking. At the point I was in my alcoholism, I was eating maybe, 4-5 meals a week and surviving most on the calories of booze while defeating hunger with cigarettes. Shortly before entering treatment, I quit smoking. A year or so after my last drink, I began eating, not a lot, but all the wrong things. Then I started gaining weight. THEN I started freaking out. Now, I am trying to be as rational and proactive as I can. See a doctor, watch what I’m doing, hang with supportive people (you’d be surprised, tho probably not, by the number of well meaning people who just can’t help themselves when it comes to pointing out the issues another may be suffering), set goals, routines, celebrate little victories, and so on. Still. I have a new respect for anyone who was suffering but is now taking back theirselves. Thanks. Reblogged this on Sass Queen. You should try drinking Forever Aloe Gel . It’s a miracle plant . Just right for this . Really an awesome one .Really loved to read . Awww Thanks my friend . God Bless You !!! Activated charcoal will usually takes care of bloating. Beauty, activated charcoal will usually take care of bloating. interesting, thank you so much! Power and health to you as you continue your journey! Thank you so much for sharing. I found your post very interesting. Informative and easy to read. Thank you for the like. The two posts I read so far let’s me know you’re going through a process. I will be lifting you up in prayer. Reblogged this on My ED and Me. Check out my latest Blog ‘No Mirrors at 55″…I think you’ll find it refreshing that I came to terms with physicality…the space that I take up with this body of mine…..Thanks for sharing. You have found your inner strength. That loving core of self. As T.S. Eliot once wrote: “We shall not cease from exploration. And the end of all our exploring will be to arrive where we started and know the place for the first time.” So stay the coarse, it is guiding you on to an amazing path. Food. It does a body good. If I can be of any assistance on your wellness journey, don’t hesitate to reach out. This is very informative and well-written. I really appreciate this post. During my recovery (last two years), I managed to gain 10kg and size out of all the trousers in my closet. This was quite a dramatic increase in my weight and all throughout my recovery I was worried about how I looked and that I was getting fat. It really was my body readjusting from underweight to normal weight when I started eating healthily, but it is difficult to accept the weight gain. I am now finally starting to accept my new look as the healthy me. Thanks for sharing your thoughts. Thanks for liking my blog and hope you’re doing ok these days. Thank you for sharing about this. So much of this is just unknown to the public and advocates like you are so important. I’ve struggled with addiction and I know the awfulness of it all. Being vulnerable makes you such a role model. Great post. although I don’t have an ED I have a few other mental health disorders( BP1 & PTSD) this helped me to understand what the body does for some of my friends who do suffer with the illness. Hang in there it seems u are on the right track. All I can say is, Wow. Very courageous. Thanks for your article. It’s a great stand of faith on your part to give God the Glory in all things, even restoration after a hospital stay. I’m not a young girl. I’m a fat old bald white guy from Minnesota with serious heart problems, so I too had to recover from a recent hospital stay. It’s a tough thing to have ‘episodes’ where one might not trust the outcome, but I’m here to praise our Lord and give Him the Glory. Your heart shows through in your kind words. 🙂 Thank you for your positivity and lifting others up through hard times.